Callaloo is tasty, grows in poor soils, and for those who like nutritious greens, Callaloo is a great choice. It grows very well in the hot and humid tropics. 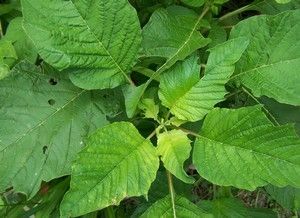 Although there are many types of bush greens, the type we are referring to is in the amaranth family Amaranth Gangeticus. It is harvested for its leaves and stems. Callaloo is grown extensively by people living in the Caribbean islands and has its origins with African slaves. It is very popular in Trinidad-Tobago, Jamaica, Guyana, Asia, Dominican Republic, Haiti, West Indies, Barbados and Bahamas. It is believed that the African slaves brought it with them when they were relocated to lands far away from their birthplace. They were very wise in doing so as it grows prolifically in poor soils. Callaloo is easy to grow from seed or cuttings. Collect seed from the seed head when it turns brownish. You can also cut four inch pieces that have a couple sets of leaves, stick right into the ground, keep watered, and it will take root easily. It will withstand drought and flooding, sun or shade. Callaloo prepared in many different ways it may be used in making soup, steamed, sauteed, pan fried. Callaloo in Trinidad & Tobago and other eastern Caribbean countries is generally made with okra and dasheen or water spinach Ipomoea aquatica. There are many variations of callaloo which may include coconut milk, crab, conch, Caribbean lobster, meats, chili peppers, and other seasonings such as chopped onions and garlic. The ingredients are added and simmered down to a somewhat stewlike consistency. When done, callaloo is dark green in color and is served as a side dish which may be used as a gravy for other food. Callaloo is widely known throughout the Caribbean and has a distinctively Caribbean origin, created by enslaved Africans using ideas of the indigenous people along with both African and indigenous plants. African Americans invented a version of the original West African dish known as collard greens. Trinidadians have embraced this dish from their ancestors and over time have added ingredients such as coconut milk to modify its flavor. Callaloo is mostly served as a side dish, for Trinidadians, Bajans, and Grenadians it usually accompanies rice, macaroni pie, and a meat of choice. In Guyana it is made in various ways without okra. In Jamaica, callaloo is often combined with saltfish and is usually seasoned with tomatoes, onion, escallion, scotch bonnet peppers and margarine/cooking oil and steamed. It is often eaten with roasted breadfruit, boiled green bananas and dumplings and it is a popular breakfast dish. In the Virgin Islands, callaloo is served with a dish of fungee on the side. In Guadeloupe, "calalou au crabe" (crab callaloo) is a traditional Easter dish. A similar variation is the recipe called "Laing" which is popular in the Philippines, mainly the Bicol region. Nutritionally, Callaloo is rich in vitamin C, calcium, and even contains protein. The positive aspects of growing Callaloo are many.